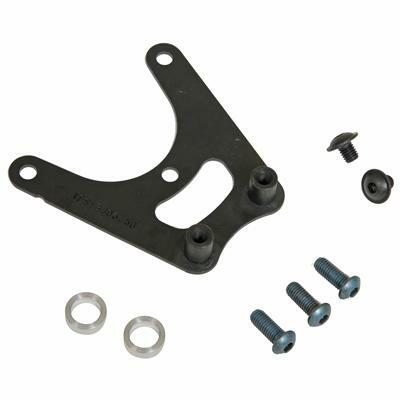 Trick Flow LS timing chain damper bracket is designed to attach a LS2 timing chain damper to any GM LS block. Some GM LS blocks are not drilled to accept the standard LS2 damper, or are early style blocks with different bolt hole spacing. The Trick Flow bracket, uses the (3) lower cam plate bolts behind the timing gear. Works with single or dual chains.